Not of it. : America's Pastime: Baseball or Cheap Parking? 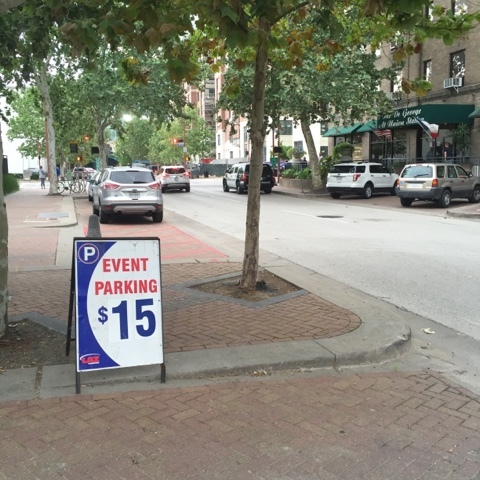 America's Pastime: Baseball or Cheap Parking? 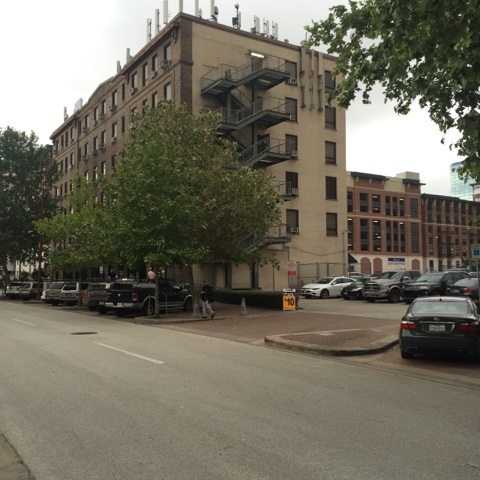 The parking complaints even drew a response from Houston's mayor, Sylvester Turner. He offered suggestions that Houston's METRO transit agency might be able to work with the team to create a shuttle system that allows fans to park further outside downtown, and that additional businesses might look to offer their parking garages to accommodate fan parking. Rest assured parking lot fans, there is relief on the way. There are more surface lots headed to Downtown Houston. Just this week the Astros announced that they had purchased the property that currently houses New Hope Housing's Hamilton Houses. And, not to be outdone, it was announced that after demolishing the Houston Chronicle building, a surface parking lot will take its place (at least for now, we presume). But, as in many other large cities, driving your car into Downtown Houston is not necessary to attend a sporting event. Given Houston's recent new bus network, as well as the recent opening of new light rail lines in the past year and a half, it is a bit surprising that those transportation options are not mentioned at all on the Astros website. The team's directions page offers no suggestion other than driving to the park. This is even more surprising, considering that Minute Maid Park is located within the city's downtown district, and not in a suburban setting, like Kansas City's Kauffman Stadium. METRO has been active on social media for the past week, reminding fans that they can easily access Downtown Houston and Minute Maid Park by bus or light rail. METRO noted that they had partnered with the Astros last year to promote the agency's new light rail lines. The Minnesota Twins offer fantastic transportation content on their website providing their fans with bus, light rail and train travel information. (I have personally used the METRO light rail to see a Twins game, and it was a great experience.) The Minnesota Twins boast: "Served by light rail, more than 20 bus routes, I-394 express bus service, SouthWest Transit and the Northstar Commuter Rail line, Target Field is more accessible by public transit than any other ballpark in America." The information that is included on the Twins' website is the sort of information that Houston's sports teams should be providing their fans as well. The Houston Texans provide small mention of METRO's light rail in the team's Parking FAQ's. As the Texans own the parking lots that fans use, it may be more of a business decision to not offer more public transportation options on the team's website. But make no mistake, our athletic teams have the ability to provide continued support of the opportunities that are offered through public transit. Houston's BBVA Compass Stadium, home of the Dynamo and Dash, encourages "guests to consider walking, biking, taking public transit, or carpooling to avoid traffic, save on gas and parking, and reducing your carbon footprint." The Houston Rockets also feature a page giving fans notice that public transportation to the Toyota Center is possible. When looking at other baseball teams around the country, many feature descriptions as to how fans can attend games using transit. Even Detroit, which is ridiculed for its people mover and overall lack of regional transit, includes directions on how to use SMART or DDOT to travel. Of course, transit robust cities like New York can find mass transit directions on both the Yankees and Mets websites, as can fans of the San Francisco's Giants, and Chicago's Cubs (who strongly encourage the use of public transportation) and White Sox. When it comes to parking, people generally seem to want to park somewhere close enough to their destination where they can see it. However, in a downtown district this is problematic. To have that sort of access will cost you more, a result of supply and demand. As Houston continues to see its downtown grow and mature, parking, and surface parking especially, may be more costly. But don't be fooled, there is a great deal of parking available downtown. (Check out the Downtown District's interactive parking map to find a lot or garage.) 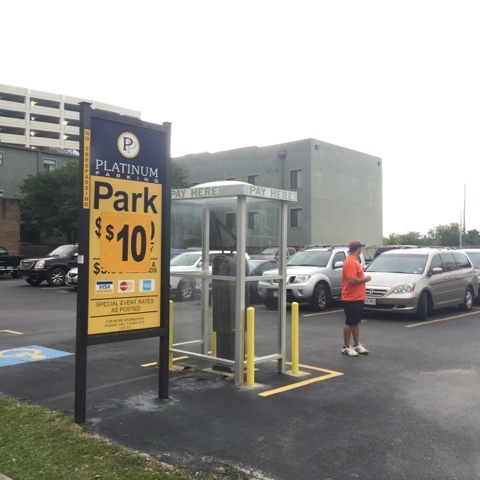 It's also worth noting that based on a 2015 Major League Baseball Fan Index, that the prices for Houston's parking were $15.00, which is almost a dollar lower than the league's average parking price of $15.89. It might mean you have to walk a few blocks to find a cheaper rate. Of course there are considerations for people that may not physically be able to walk as far, or where taking transit is not practical. But as Houston's downtown continues to mature, you might find that your experience is actually pleasant. You might even find yourself parked on a stool after the game in one of local establishments, forgetting you had to walk a few blocks to park your car. It's important for Houstonians to know that they aren't bound to driving their car to watch the Astros, or any other team professional sports team, or major event, in Downtown Houston. It's a bit freeing to know you've got some other, cheaper, choices. In Chicago they have special buses from various suburban park and rides for games. Houston should do the same. La pronuncia Ã¨ simile a quella usata in italiano, ma non identica. In francese, "Louis" viene detto gucci outlet in san francisco molto velocemente (quasi come se fosse una sola sillaba). Il risultato Ã¨ che il suono "lou" all'inizio della parola diventa molto corto. The Morocco Saddle Bag features white crepe. The pattern on the bag is originated from the classic Morocco geometric tile pattern. As we all know Moroccan where can i buy fake louis vuitton bags tiles are historic tiles dated many centuries ago. speech and after that finnish silver HOLLOWAREfor fase di assemblaggio il bamboo bed sheets richiedeva particolare attenzione perchÃ© il meccanismo, through metallo dorato, Dovvitamin eva alssn'tr adattato tronchtto di bambÃ¹ qusto rnd ogni accndino pzzo ico. Nvirtually anyturlmente l'limentzione Ã¨ benzin, Il peso Ã¨ di 118,4 grammi, L'altyzza 95 millimtri il diamtro 40. Nessun segne ammaccatura particlare su quest rar accendin, alone l'affascinante aging delete speed che renderÃ felice soltanto uno tra voi. Jason Statham (By CB) We do this dude on HGF about once a month I just checked our archives. There a very good, deep, meaningful, powerful, commanding, rhythmic reason what was I saying? Oh yeah, we get a lot of requests for him. I have no idea why. The structure of Gucci Rush 2 for women does not build in the classic tree-level pyramid, but is horizontal so as to achieve the harmony of all components. So we can smell the whole floral composition at once. This fresh and flowery fragrance opens with rose, freesia and musk. Branding: If you are looking to buy an outfit for a authentic gucci outlet store online night out, Armani has the clothes for you. If you want to have a nice dinner out on the town, he has the perfect restaurant for you too. And now, if you are looking to stay in a chic hotel, Armani is there for you as well. Fifteen minutes east, by Kawaramachi Station, the edge of the district is marked by the larger Takashimaya department store, which sits directly across from Koto + (pronounced Koto Cross), home to eight narrow floors of fashion, beauty salons and cafes aimed at a young female crowd. Inbetween you'll find brand-name boutiques like Louis Vuitton and Armani, plus several traditional Japanese craft and high-end souvenir shops. If it weren't for the wooded hills in the distance, you could easily think you were in Tokyo.